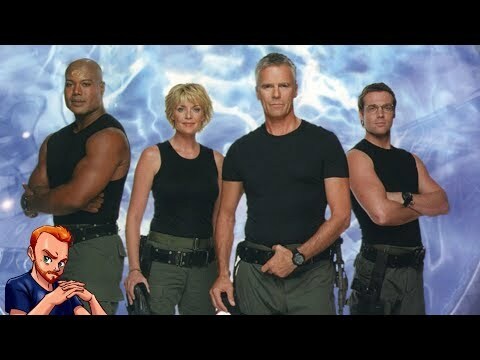 What's your favorit SG1 episode? High quality graphics and an amazing new story feature in the new Stargate SG-1 interactive adventure, coming soon for tablet and mobile devices. Reunite with your favorit characters from SG-1. Play through an entirely new interactive adventure series designed to bring back all of your Stargate memories. Look for Episode 1 in March 2013 for iOS and Android. Stargate SG-1 Unleashed that is coming on March 2013 is a 100% new story, written oleh Sally Malcolm is the penulis several novels in the Stargate universe – Stargate SG-1: A Matter of Honor, Stargate SG-1: The Cost of Honor, Stargate Atlantis: Rising (novelisation). She has also written four audio dramas of Stargate SG-1. a question telah ditambahkan: Stargate SG-1, Season 8, Episode 14, "Full Alert," at 12 minutes: What is the complete text of the road sign "Bubba's Ribs n' _____, Voted #1 ____ ____ ____ ____?" Is a clear image available? Which SG team is the medical team?